Georgia over at local ecologist is featuring window box gardens from different urban plant bloggers around the world, from Tokyo to London. I’m honored to be today’s guest blogger, musing on my window box garden dreams. Read more in my guest blog post at local ecologist. 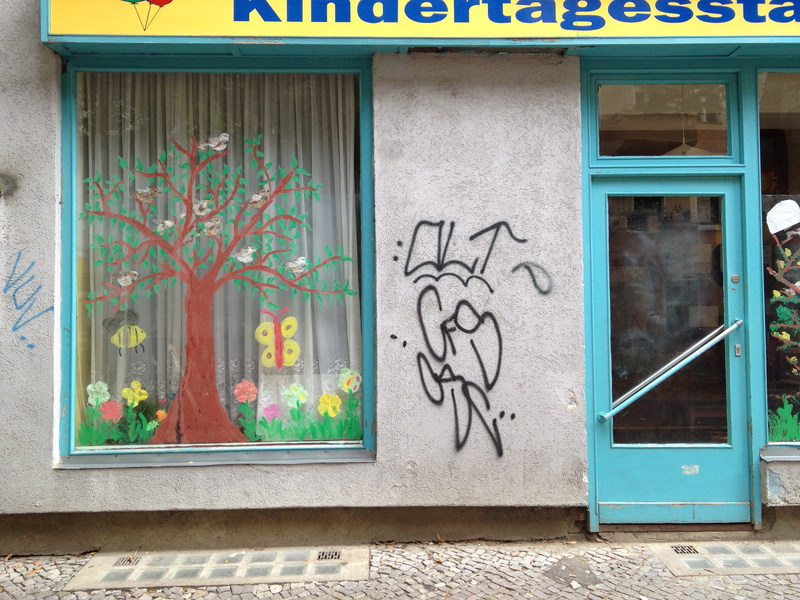 Some of Berlin’s best windows are Kindergarten windows. Unlike the kindergarten denoted by US English, which is part of primary school, a German Kindergarten or Kindertagestätte (Kita for short) is a pre-school day care. 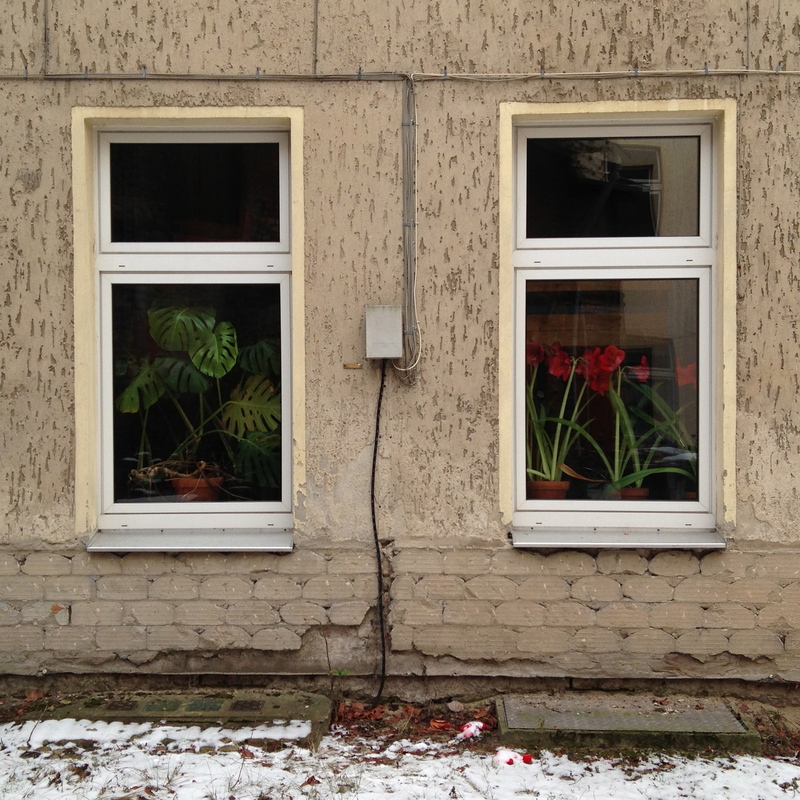 If the windows are any indication, a major part of Kindergarten here is decorating the rooms with cheery plants and animals—putting the Garten in Kindergarten and more urban plants on our sidewalks. 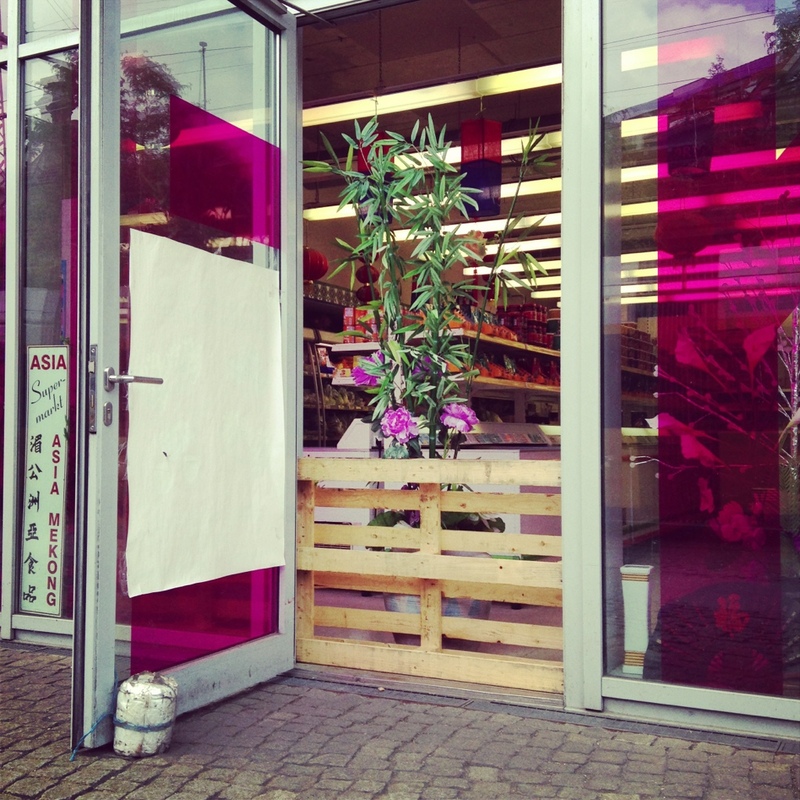 At Asia Mekong, which is, counterintuitively, a Korean grocery store in Mitte. 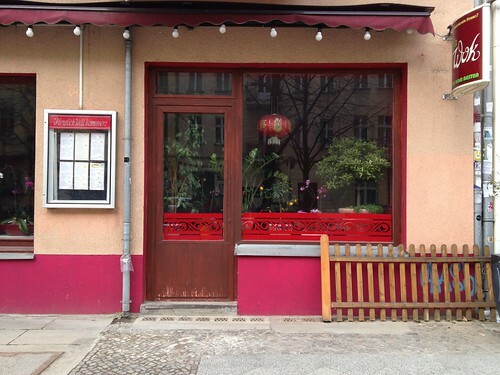 In this restaurant in Berlin-Friedrichshain the other day, in the morning before the restaurant had opened for the day, a crew of plants were chilling in the window, from oranges to orchids. 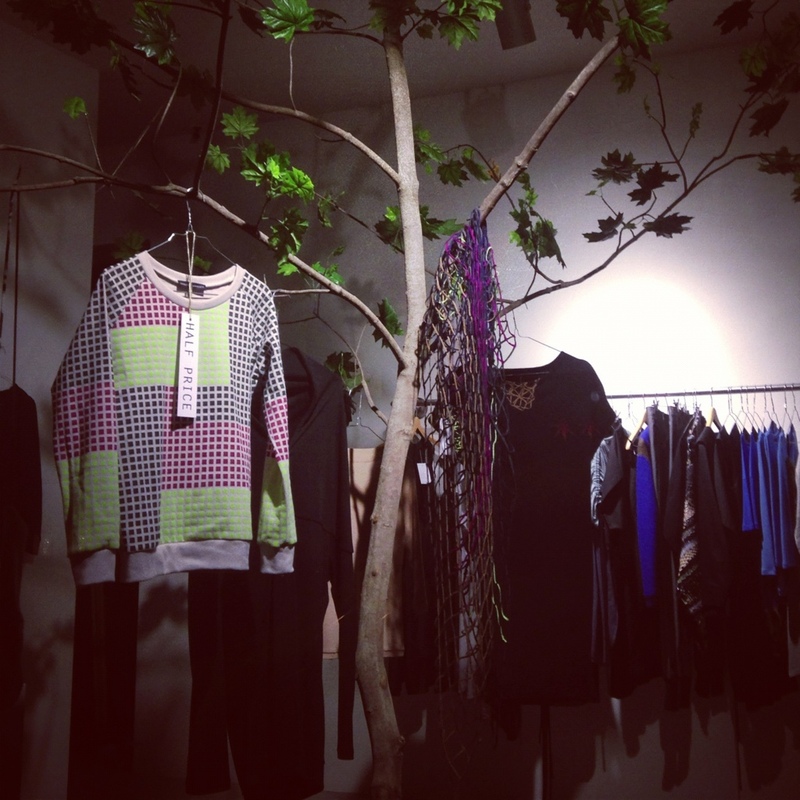 This Berlin-Mitte tree is a real clotheshorse.